Preschoolers across Victoria will have the opportunity to learn a language other than English, starting from term one 2019, as part of a state-funded initiative. Marking an Australian first, the $17.9 million Early Childhood Language Program is expected to benefit around 3,000 children annually over the next four years. The funding will allow three-hour weekly language sessions to be delivered in 120 kindergartens and a further 10 kindergarten services to transition to a bilingual model, where children will learn in a second language for up to seven-and-a-half hours per week. “We’re making sure more of our littlest Victorians reap the lifelong benefits of learning a language other than English – they’re going to be at the front of the pack,” said Minister for Early Childhood Education Jenny Mikakos. According to education experts, benefits for children learning the language of their yiayia and pappou at a young age include increased literacy, cognitive flexibility and strengthened cultural identity. 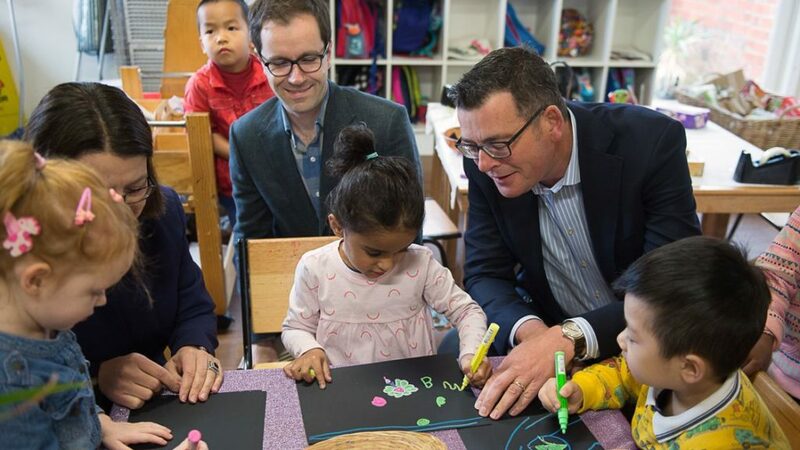 Funding for the initiative forms part of the $202.1 million Education State Early Childhood Reform Plan, which was announced in last year’s budget, while the 2018/9 Victorian Budget invested a further $135.9 million targeting early childhood. In preparation for the program to be launched, families, teachers, and representatives of the kindergarten communities are encouraged to attend information sessions, that are currently being held across a number of locations to learn more about the specifics of the program and eligibility criteria. Expressions of interest will open in mid-July and close in mid-August.